People often confuse lift kits with leveling kits. Some folks even use the terms interchangeably. Both involve your truck’s suspension and both affect the look of your truck. That’s where the similarities end, though. So, why the confusion, and what’s the real difference? Let’s get into the nuts and bolts of lift kits and leveling kits — the various options and what they do. Lift kits raise both the front and rear of the truck. This gives the truck an aggressive appearance and allows the owner to install larger tires. There are two basic types of lift kits — body lift kits and suspension lift kits. Body lift kits use blocks or spacers to lift the body away from the frame. This type of lift gives the truck an aggressive, lifted look and allows for larger tires to be installed. Body lifts have two main advantages over suspension lifts — lower cost and ease of installation. However, the only real performance advantage that a body kit offers is the ability to run larger tires, and the lift can add stress to your suspension system. Suspension lift kits also give the truck an aggressive stance and provide space to install larger tires. While suspension lifts are more expensive and more difficult to install, they provide an important performance advantage because they lift the body and the frame — thus giving the truck added frame clearance so it can navigate tougher terrain. 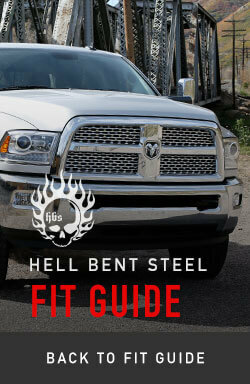 Leveling kits differ from lift kits in that they only lift the front or rear of the truck. Often, trucks come from the factory with a higher rear end because manufacturers commonly install stiffer rear springs to compensate for heavy loads. While this makes sense functionally, it gives the truck an unbalanced, nose-down appearance. A leveling kit can be installed to give the truck an even, level stance without upsetting the truck’s handling characteristics. Leveling kits are relatively inexpensive and easy to install. There are also solutions if the rear of the vehicle is too low or if you frequently tow heavy loads that cause the rear to sag. Air suspension leveling kits are expensive, but, when paired with an on-board air compressor, allow you to adjust ride-height on the fly. Another option is an add-a-leaf kit, which lifts and stiffens your suspension at the same time. These are especially useful for guys who frequently haul heavy loads or tow heavy trailers. Finally, block kits are inexpensive and easy to use. They aren’t adjustable and they won’t stiffen the suspension, but they get your truck’s stance back where you want it with a minimum of hassle. The kit you choose for your truck depends on what you need it to do, what kind of driving you’ll be doing, and what you’re willing to spend. Whatever you do, do the research and buy a quality product from a reputable manufacturer like Hell Bent Steel — there’s too much riding on your suspension to gamble on cheap components.